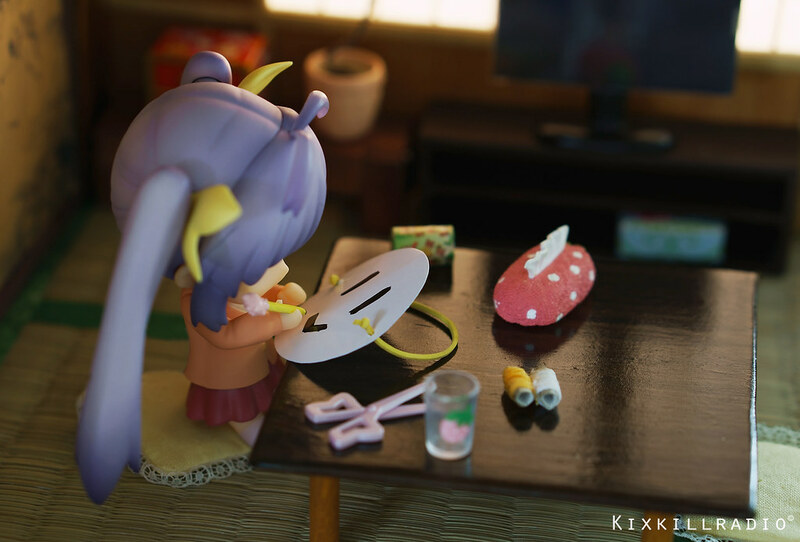 It’s been raining a lot lately and Renge couldn’t ride her bike so she had a great idea. Done! But it doesn’t look quite like I imagined. If it’s this small, the sun won’t find it. Ah! I just had a great idea! Then I’ll just draw a face onto a paper plate, put rubber band through here..
and I put on my raincoat! Mister Sun, I’m the teru-teru bozu! I’m gonna go outside and ask the sun itself to come out and shine. Mister Sun, come out and shine! The story was inspired by the anime Non Non Biyori Repeat (Episode 4). 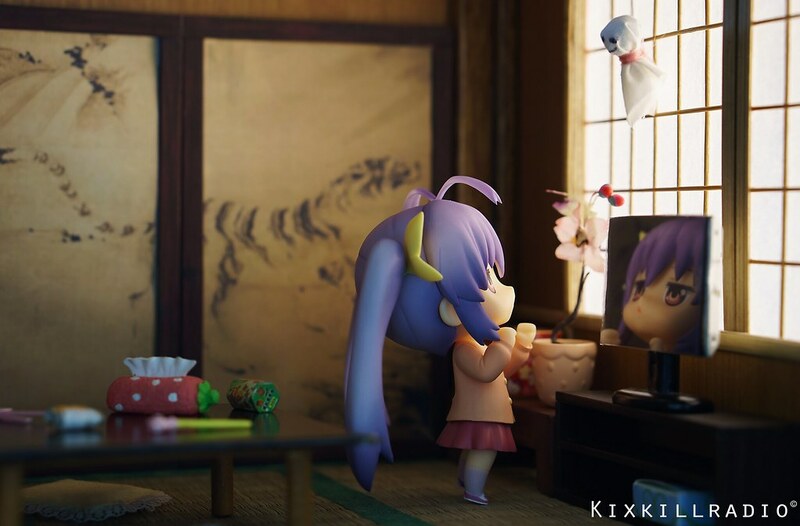 Renge’s room is also based from their house in the anime. 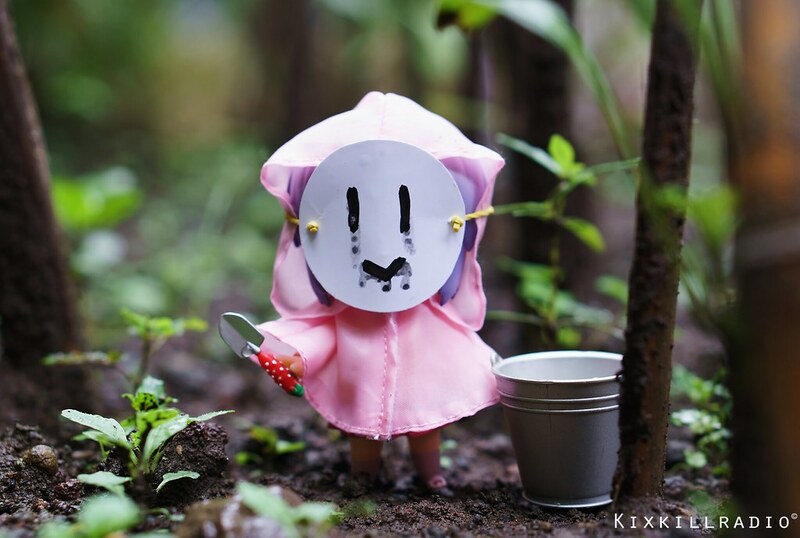 In the show, she used a white raincoat. such beautiful work! Truly an inspiration! Lovely o(〃＾▽＾〃)o! I really admire the effort you put in the room setups.. 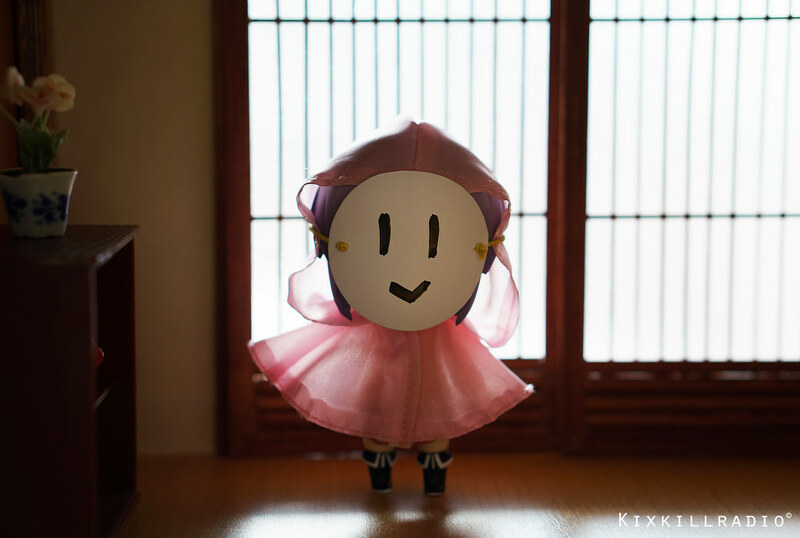 The smeared face reminded me the scene when Komari was scared to death by Renge in her costume XD. 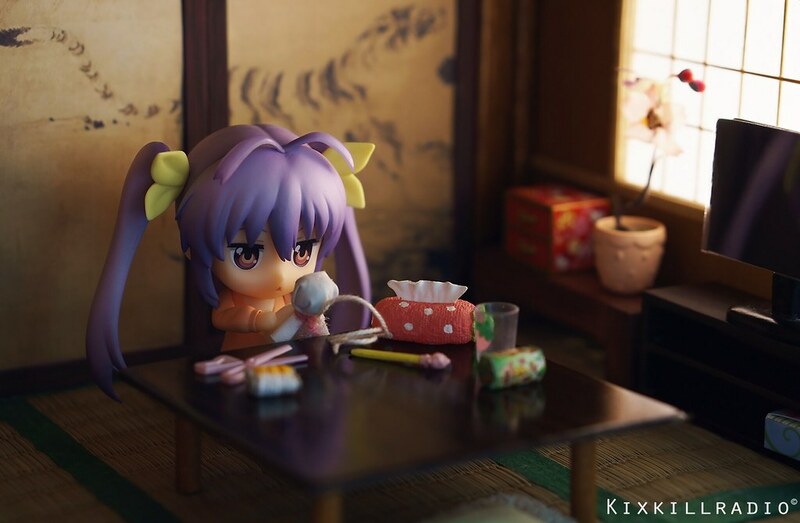 Renge’s such a cute Nendo, I kind of regret missing out on her!